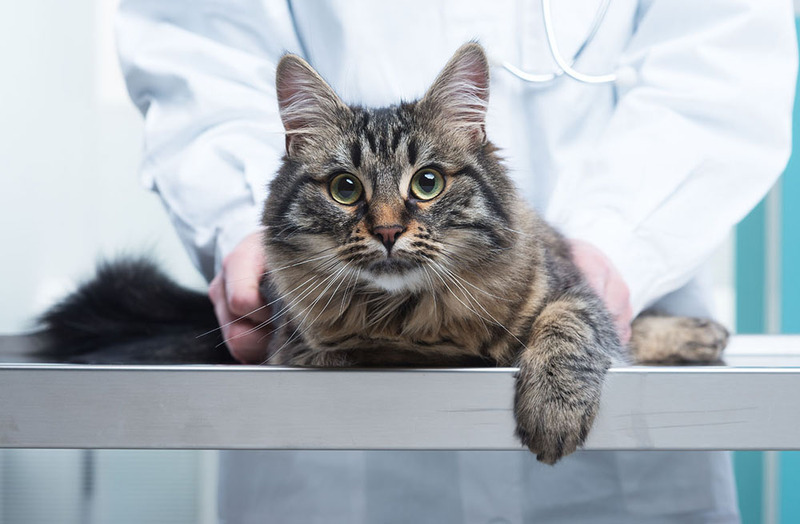 To facilitate administration of necessary treatments and eliminate stress on pets, our veterinarian uses anesthesia when performing dental work, surgery, or other minimally invasive procedure on dogs, cats, and other pets. General anesthetic not only blocks pain sensations but also relaxes your pet's muscles to inhibit movement during treatment. Pets under anesthesia are constantly monitored using the latest medical devices available. In addition, we perform a careful examination of pets before sedating them to ensure they are healthy enough to accept the anesthesia and only administer what is absolutely necessary to optimize a pet's comfort and well-being. What is Safety First Anesthesia? Catheters can deliver medications rapidly if an emergency occurs. In addition, pulse oximetry is used to regularly evaluate your pet's oxygen status. Fluid or towel warmers are also provided to keep your pet's body temperature at a comfortable level. After pets awaken from anesthesia, we continue monitoring them for 12 to 24 hours. In some cases, we may keep your pet overnight to ensure it is safe for you to take your pet home. Discharge instructions regarding how to care for pets that have been anesthetized are given to pet owners. Our veterinary clinic has a 24 hour service answering your questions if a problem arises when we are closed. For pets having extensive dental work or surgery, a veterinary analgesic may be prescribed to provide pain relief for pets after they come out of the anesthesia. Our goal at Helena Veterinary Service is to ensure your pet remains safe and comfortable during procedures requiring anesthesia. We understand how concerned you may be about putting your pet to sleep and will explain the process of administering anesthesia and what to expect from your pet's recovery. To learn more about Safety First Anesthesia or to schedule an appointment with your Helena MT vet, call (406) 442-6450 today.